Happy Friday everyone! Some of us are gearing up for the three-day Labor Day weekend and the rest of us are doing our best to keep the grumbling to a minimum, because we have to work. Either way, we hope you find a way to enjoy yourself. We apologize for abandoning you several days this week, but as you may have seen on Facebook and Twitter, we’ve been hatching plans for the coming months. 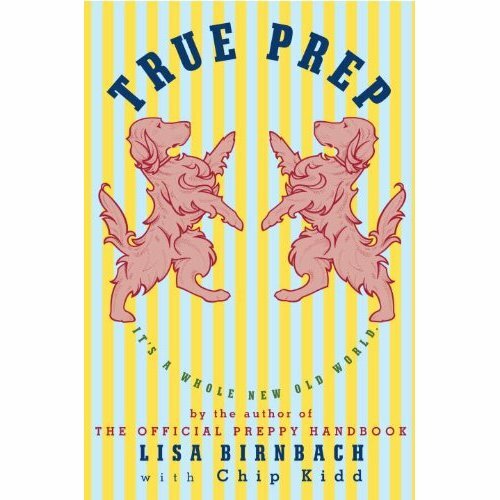 Written by Lisa Birnbach and designer Chip Kidd, this new book is a sequel to “The Official Preppy Handbook,” or the book that launched a million pairs of Sperry Top-Sider’s, and will let us in on what Muffy has been up to all these years. We’ll be interviewing Birnbach and Kidd during the session, so if you have questions you’d like for us to ask, shoot them to us here, via Facebook, Twitter or at charmfinder@gmail.com. We hope to see you at the festival! We’ll have more on the book as soon as we get it into our hot little hands (we are awaiting it from the publisher). Preppies know a little something about manners and we are looking forward to reminding ourselves of the proper etiquette for sailing, cocktail hour and volunteering at Mummy’s favorite charity.